"Like me? Are you kidding? They collect my poop!" 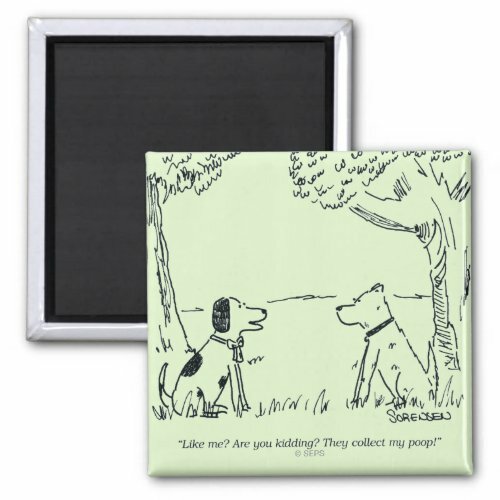 A funny, humorous square magnet for your fridge, file cabinet, dishwasher, or favorite metal surface. Featuring a fun, hilarious cartoon by Jean Sorensen, showcasing a dog's perspective with a pet dog bragging to his fellow canine friend about how much he's liked by his human owners. 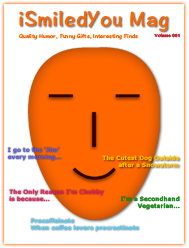 A fun gift for dog people, pet lovers, dog owners, friends, and family.